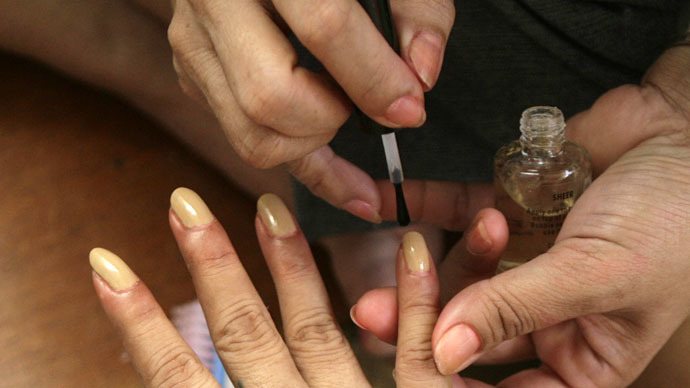 The owner of a nail salon, “ISIS Nails”, based in New York City has decided to change the name of her establishment. The woman says she keeps losing clients, while many suspect her of having links with the terrorist group. The salon has been operating under this name for five years, but the owner is losing clients and others call to find out how to join the Islamic State terrorist group (IS, also known as ISIS/ISIL), the New York Post reported. She adds her clients have fallen by 30 percent in just one year and those who remain loyal believe the current business name sends a clear message that the owner supports terrorists. The salon added to the ranks of companies worldwide who have had to change their name: London-based Isis Equity Partners, Belgium chocolate maker ‘ISIS Chocolates’ and California-based e-wallet solution 'Isis', among others. There have also been numerous cases when members of the public have mistaken others for being associated with the Islamic State. Earlier this year a Swedish couple was mistaken for Islamic State supporters when passersby erroneously thought birthday balloons in the window had ‘IS’ (an abbreviation for the terrorist group )written on them, when in fact it was merely '21'! When the police came, the matter was resolved, but they still asked the couple to remove the balloons. In March, police officers from the small Italian city of Porto Recanati searched an apartment building after locals thought an IS supporter had been staying there. They believed the terrorist group`s black flag was hanging on a tree nearby. Upon closer inspection, it was revealed that the offending article was simply a black jacket. And in the US a heavy metal band called “Isis” that split up in 2010 has received online abuse from people mistaking them with the Islamist militant group. In an interview to ABC News, the band`s former drummer Aaron Harris complained: “Fans have emailed us that they're reluctant to wear our T-shirts now and we've also gotten some off-color comments." The band had to change its name on its Facebook page to “Isis the band” to avoid further confusion.